Summer is almost here and we know youre shopping around for pool service in Upland, look no further! Bertino Pool Service is the premier choice in Upland and surrounding areas for expert weekly pool maintenance. We pride ourselves on the pools that we do and take pleasure in doing it. 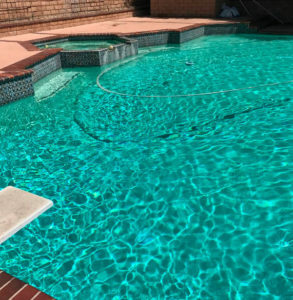 We keep our pools crystal clear all year long so your family can enjoy it. Below is a picture blog of our latest early summer pools that we take care of. Call today for a free estimate (909) 240-8531! This humble abode in Upland is the perfect getaway to relax on a weekend, complete with a bar in the back and some nice palm trees surrounding the aqua blue pool. One of our personal favorites! This pool service in Rancho Cucamonga has a very nice layout with the spa water falling into the pool creating a nice ambience for the kids, grandparents and parents on a nice hot day in California. This lush swimming hole located in Upland, Ca is another one of our favorites. What makes it so good (besides the beautiful home) is the amazing pool service by Bertino Pools. We really work hard on this pool to make it beautiful all year long. Here is another angle on that one, as you can see, its as beautiful as it looks. We love the gazebo in the back and the lounge chairs surrounding the pool make this a great place to relax. Another beautiful blue pool just glistening in the sun light. 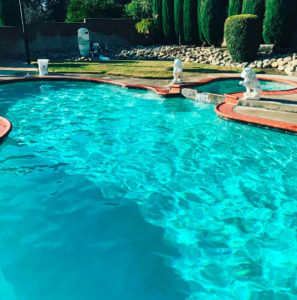 For a free estimate call Bertino Pool Service today at 909-240-8531. 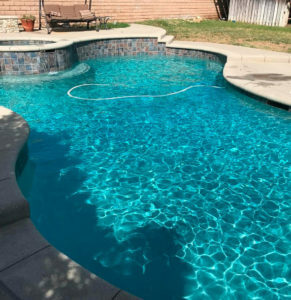 That will wrap up our weekly round up of awesome pools in Upland, Ca 91784. Feel free to call us any time to talk about what is best for your pool. Thanks for looking!